January just flew by, and now February is upon us which is insane, but I am also so ready to dive deeper into the new year. January was a fantastic reading month (my wrap up will be coming later this week) and hopefully February will be just as good. I would say that I hope for it to be even better, but this was a rare month, and honestly I doubt I could read more than what I managed to read in February. Anyways, enough rambling so here is my TBR! I started this book during the Biannual Bibliothon, however it is a really dense book and I figured I wouldn’t rush myself to finish it. So, I plan to read a bit each week and then hopefully finish it by the end of February! 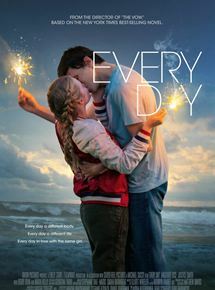 This book takes place during World War II and follows Marie-Laure, a French blind girl, and Werner, a German boy who after their paths collide, they try to survive the devastation that is the war. Currently, I am studying World War I in class so it is fun reading a fiction book that takes place during a war, even if it is a different war. This book has nothing but amazing hype and I cannot wait to finally join it. Honestly, I think this book might be the most hyped up book of 2018, even though 2018 has just began. I have heard nothing but fantastic things, so I bought this book a few weeks back and cannot wait to dive in to it. Despite the hype, I know nothing about this book apart from the fact that it includes faeries which is good enough for me! It’s the dead of winter, so why not read a summer contemporary? Even though I heard this is a sad book, it is the only Morgan Matson book I haven’t read yet so I am really excited to see how much I like it compared to the others. I did start this book several months ago, but for some reason I never finished it…but I am determined to, now that I have my own copy. 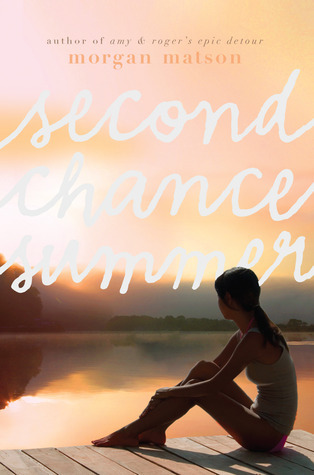 Second Chance Summer follows a girl named Taylor and her family, who after getting some devastating news about their father, venture back up to their old summer house for one last summer together. I am a sucker for contemporaries so I have no doubt I will love it. I know I only have 3 books on this TBR, but that is because I realized that setting 4 or 5 books that I tell myself I have to read in a month makes me a little reluctant to read them, so I figured just giving myself a smaller TBR will help. Anyways, don’t forget to check out my last blog post: Audiobook Recommendations! Hello! I am back after my two day hiatus after the busyness that was the winter Biannual Bibliothon. While it was loads of fun, it was a little draining but over the weekend I recharged and am ready to blog! Lately I have been listening to a lot of audiobooks, I think I listened to about 4 this past week, and have been loving them, so I decided to share a few audiobook recommendations with you guys and some tips if you are just starting out. I hope you enjoy! Choose An Audiobook That You’ve Read the Physical Book Of – When it comes to your first few audiobooks, I find that it is a lot easier to ease into the world of audiobooks when you listen to a book you have already read. When adjusting to audiobooks, it can be difficult to retain all the info you hear while listening to the story, so my advice is to start of listening to a favourite book of yours! Free Audiobooks! – If you aren’t sure if you will like audiobooks, try borrowing them from your library. And I don’t mean borrowing the 30+ disk set, but borrowing from their online selection. Lots of libraries have links on their websites to online libraries where if you use your library card, you can electronically borrow books and audiobooks on your phone or computer, and they are free! Don’t Waste Audiobook Time – There are so many times throughout the day when you could be listening to an audiobook. So instead of watching mindless YouTube videos while getting ready, press play on an audiobook! You can also listen to them while walking around, driving, doing mindless tasks, etc, etc. Don’t waste perfectly good audiobook time! Now for my audiobook recommendations! Not only do I recommend this physical book, but the ebook is so much fun! I get the exact same feel as I do when I physically read it, and listening to the book come alive just brings so much more to the story. This is one I am actually currently listening to, and it is nice to discover the world of Fangirl in a different medium. I don’t have a specific book recommendation for this one, but really any of this series would be amazing on audio. I have only listened to the fourth in full, and snippets of some of the others but listening to the fourth was a blast, and the person who voiced it did a great job of giving each character a different voice and making the journey so much more fun! Listening to The One on audiobook was really good, I felt the tension between the characters and really felt the emotion I felt while reading the physical book, which is obviously what you want from an audiobook. While it did sound a little robotic, I quickly got over that and became so incredibly invested in the story. 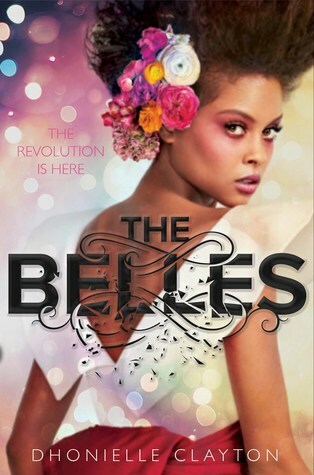 I can only imagine that the first book, The Selection, would be just as good! Really, I think that any children’s book would be magical in audiobook format. I listened to this book during the Biannual Bibliothon, and it was fun listening to Wendy, John, Michael and Peter’s adventures in Neverland. Again, it brought the story to life in a way like a movie would, and while I was walking around and listening to this book I would get so invested in the story I would wander around for hours. Also, it is really short (about 5 hours or so) so a perfect first audiobook! Those are a few audiobook tips and recommendations for any of you considering giving audiobooks a try, or for any of you who just were in need of some more recommendations. I hope you enjoyed this, and make sure you check out my last blog posts: 2018 Biannual Bibliothon Day 7: Write a Book Recommendation + my Day 7 Reading Update! 2018 Biannual Bibliothon Day 7: Reading Update! Helloooo! It is day 7, the final day of the Biannual Bibliothon, and let’s just say I managed to end with a bang. Today I managed to complete 2 books, both which I briefly started yesterday. Most of my day was occupied by school and homework, however I managed to squeeze the rest of my reading in during then. I managed to complete the last 6 hours of Percy Jackson and the Olympians: The Battle of the Labyrinth by Rick Riordan on audiobook, and I loved it! I cannot wait to listen to more of the Percy Jackson books on audiobook because it is so fun and entertaining to listen to Percy’s adventures. The other book I managed to read was one I picked up late last night and that is London Belongs to Me by Jacquelyn Middleton. This was for the challenge of reading a book I have never heard of before, because before reading it, I had no idea what it was about. I enjoyed it, the writing was a little weak and the characters were kinda flat, but overall I thought the story was light hearted and fun, and was a nice way to end the readathon. I had such a blast participating in the 2018 winter Biannual Bibliothon this year, and highly encourage any of you to participate in the summer session! There won’t be any reading/writing update this weekend for the obvious reason that I have been doing these reading updates all week, but on Monday I will be back online with a new blog post, and later next week I will share my January TBR where I touch on all the books I read this month, as well as what I managed to complete this readathon. Thank you for following me on this readathon journey, and I hope you enjoyed all the blog posts I put out this week! Don’t forget to check out my last blog post: 2018 Biannual Bibliothon Day 7: Write a Book Recommendation! It is the last day of the Biannual Bibliothon…can you believe it? I hope yours was as productive as mine, but I also hope that you had a blast reading, as well as following me along my own journey! The blogging challenge for day 7 is hosted by @Laura’s Literary Letters and is to write a book recommendation. I was very excited to tackle this challenge, however it was hard to choose which book to recommend…so many choices. Anyways, after a lot of careful decisions and comparisons, I came to conclusion to recommend the lovely book, Ruby Red by Kerstin Gier. Ruby Red by Kerstin Gier is the first book in the Precious Stones trilogy, and is a book of time travel with a dash or two of romance. In Ruby Red, we follow our main character, Gwen, a sixteen year old girl whose family has a secret, they possess a time travelling gene. Gwen had always been accepted that her cousin Charlotte possessed the gene, happy to stay out of the spotlight and carry out a normal life, but when she travels back in time, frantic and confused, she realizes that it isn’t Charlotte who has the gene, but herself. Now Gwen’s life is flipped upside down and she is thrust into the spotlight, the burden of the being a time traveler suddenly dropped on her shoulders because time traveling doesn’t just mean going back in history, but is also means putting up with her new annoying, yet ridiculously handsome, time travelling partner, Gideon. We follow Gwen as she lives this new life of adventure, and learns to accept it and everything that comes along with it, including dark secrets that come into light throughout the book. If you love a book with adventure and a relatable main character, you will love this book! It is a fun, easy read, and you will fly through it, desperate to move onto the next books, Sapphire Blue and Emerald Green. I also recommend this book because there is a movie! 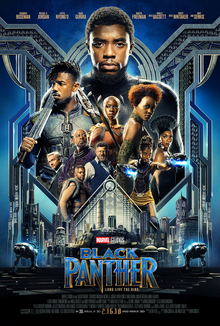 It may originally be in German, but on YouTube you can find the dubbed version and it is a very well adapted movie, one I highly recommend. So pick this book up from the library, or purchase a copy yourself because you won’t regret it! That is all for my day 7 challenge, as well as the final challenge of the winter Biannual Bibliothon. I am already counting down the days till the summer Biannual Bibliothon, and also the BookTubeaThon! Don’t forget to check out my last blog post: 2018 Biannual Bibliothon Day 6: Favourite/Most Memorable Book of 2017 + Day 6 Reading Update, also, stay tuned for my final reading update coming later! Thank you so much for putting up with these blog posts, and just being amazing. You guys mean so much to me and whenever you like a blog post or comment it puts a smile on my face! 2018 Biannual Bibliothon Day 6: Reading Update! I know for a fact that what I will be taking away from this readathon, is my newfound love for audiobooks. Especially ones of books I have read previously, thus making it easier to follow the story. Throughout this readathon I have listened to a current total of just over 2 audiobooks, and enjoyed them both! Audiobooks are great for readathons because there is so much time during the day where you can’t physically read a book, but a lot of those times you can spend listing to a book instead. Anyways, now for what I read today. This is quite random, but I decided to listen to the audiobook for Percy Jackson and the Olympians: The Battle of the Labyrinth by Rick Riordan, the 4th book in the Percy Jackson series. 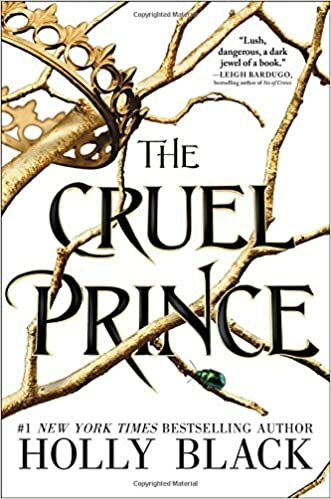 So far I am 4 hours and 30 minutes into it (163 pages) into it, and just decided to start listening to it because I enjoyed the books so much, that I was sure the audiobook would be another amazing experience. So far I am really enjoying it, but no surprise there. I also started London Belongs to Me by Jacquelyn Middleton, and I am liking it so far. The writing is a little weak in my opinion, but I am having fun following the main character as she follows her dreams in London. I am only on page 43 but I’m just so exhausted that I can’t bring myself to read anymore. Hopefully I will be able to power through it tomorrow since it is under 400 pages! That is all for my day 6 reading update and I hope you enjoyed. Don’t forget to check out my last blog post: 2018 Biannual Bibliothon Day 6: Favourite/Most Memorable Book of 2017! Happy day 6 of the Biannual Bibliothon! I cannot believe tomorrow is the last day, which means it is time to get reading done! Today’s challenge is hosted by @beabookishgal and is to talk about our favourite and most memorable read of 2017. This was so easy for me because it was my most anticipated release of 2017 and to no surprise, it became my favourite read of the year as well. And that book is hands down Lord of Shadows by Cassandra Clare! Make sure you comment what your most memorable read of 2017 was, or consider participating in this blogging challenge as well. Lord of Shadows is the second book in the Dark Artifices series by Cassandra Clare, which follows a group of Shadowhunters who try to uncover the mysterious death of Emma Carstairs’ parents, but in a world of demons and angels, there is more to their deaths than they thought. 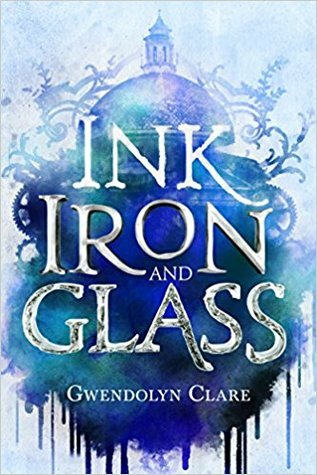 This book is full of action, adventure, strong characters, swoony romance, betrayal, and basically anything you would want in a book. When I first read Cassandra Clare’s “The Mortal Instrument” series, I was in love with this world which also meant I would love every other book she put out in the future, however, to my surprise, I ended up loving Lady Midnight (the first book in the Dark Artifices trilogy) more than the original series, and than Lord of Shadows more as well. Lord of Shadows is filled with my favourite characters, Julian, Emma, Christina, Mark, Ty, etc, etc, which is why I loved this book so much. Reading this book makes you feel as if you are a part of their family, their world. And that is a really comforting feeling! That is all for my most memorable book of 2017 and I hope you enjoyed. I cannot believe tomorrow is the last day of the Biannual Bibliothon, which means I need to pick up the pace and read, read, read. Don’t forget to check out my last blog post: 2018 Biannual Bibliothon Day 5: Rewrite A Scene From A Book + my Reading Update! 2018 Biannual Bibliothon Day 5: Reading Update! Day 5 is done of the Biannual Bibliothon and let me tell you, it was a lot better than yesterday. 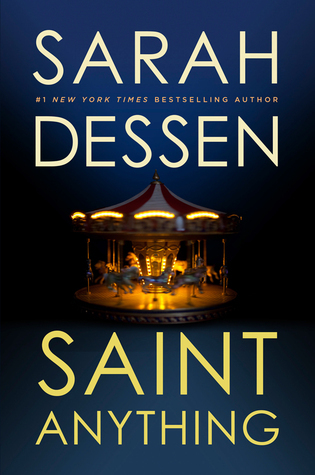 Last night I started the audiobook for Saint Anything by Sarah Dessen for challenge #4, which is to read a book with mental illness. The audiobook is about 12 hours and 45 minutes, and last night I listened to 1 hour and 20 minutes, which means I listened to like eleven hours and twenty minutes of it…to be fair it was at double speed (apparently that is how fast my brain goes) but still, I am really proud of that! I loved listening to this book on audiobook, and since I have read this book a few times I didn’t feel like I was missing anything. As for All the Light We Cannot See, I read about 20 pages and came to a conclusion. A conclusion which is that there is no way I can finish this book by Friday. The writing style is beautiful and complex, and I am really enjoying the story (even just from the 50 pages I have read), but this is not a story I can, nor want to read quickly. Soooo, yeah another change in plans but that is okay! Instead of reading this book for the challenge of reading a book I have never heard about, I have decided to give London Belongs to Me by Jacquelyn Middleton. Honestly, I have no idea what it is about other than it involves London and is a contemporary, which is good enough for me! I will start it tomorrow but overall I am a lot more pleased with my reading progress today than I was yesterday. Hopefully you are all having a good reading time too! Happy day 5! Sorry this blog post didn’t go up sooner, I was having a hard time coming up with decent content for today’s challenge, wondering if I should just skip it or not because I don’t have much time to work on it…but in the spirit of the Biannual Bibliothon, I decided to just go for it. For today’s challenge, hosted be @readerrayna, basically you just have to rewrite a scene from a book and then incorporate magic into it. I love to write, so I was really excited for this challenge, however, I forgot how difficult it would be to write something with someone else’s characters and story. I did it though, and it was a lot of fun! The book I chose to write a scene from is The Perks of Being a Wallflower by Stephen Chbosky, and is the scene where Charlie, Sam and Patrick are driving through the Fort Pitt Tunnel really fast and Charlie says, “And in that moment, I swear we were infinite.” Yeah? Okay, let’s do this! Patrick and Sam shared a grin as I slipped into the backseat of Sam’s pickup truck. I guess I looked confused because Sam smiled and winked at me before tossing her keys over to Patrick. He caught them and suddenly the air was filled with the sound of the engine sputtering to life. “Tunnel.” Sam said immediately, as if that single word meant something. I could see it meant something to Patrick because the grin on his face widened. Soon we were zipping through the traffic, the light of the city blurred by the raindrops streaming down the windows. I pressed my nose against it, feeling the coolness and listening to the fast pop song pulsing out of the radio. I still had no idea where we were going and I said this aloud. “You’ll see,” Patrick said teasingly. “But it’ll totally blow your mind.” Sam chuckled at her brother, pulling something out of her pocket. It was silver and thin, like a writing utensil. She pressed the tip to the dashboard and drew, gliding the stick in loops. I leaned over, resting my chin on the shoulder of Sam’s seat to see what she was drawing. She pulled back, and I could see that the whole dashboard was filled with shimmering infinity symbols. “Why?” I asked but they just shared a mischievous look. Suddenly Patrick sped up as we neared a tunnel. I could see the yellow lights that flooded from its mouth like a hungry beast. I gripped the worn seats, my heart loud in my ears. “Do you trust us, Charlie?” Sam called out over the roar of her old truck’s engine. I just pressed my lips together and nodded. We were in the tunnel now, its end nowhere in sight. Sam laughed carelessly and crawled next to me in the backseat, opening the back window. I stared at her as she slipped out, her dress billowing around her in the winds, a look of wonder on her face. Patrick glanced back and smiled softly as she held out her arms, threading her fingers through the wind. All I could do was watch her. “Prepare for lift off.” Patrick mumbled. I turned around. We had reached the end of the tunnel now, the yellow tunnel lights fading and the dark city returning. Sam climbed back in, her cheeks flushed and her eyes wild. “Hold on tight,” she whispered, gripping my hand as the truck lurched upwards. I gasped, probably crushing her fingers in my grip. The truck’s wheels skimmed above the road, floating higher and higher in the air as Patrick pressed his foot on the gas. “What-” I started, stomach tight. I looked at the dashboard, eyes widening at the infinity symbols which were now glowing with silver, the light growing brighter and brighter. Beside me, Sam didn’t look scared. She let go of my hand and pressed it against the window as she looked down at the city. I swallowed nervously and turned to my own window. The city buildings were tiny from up here, the cars winding down the busy roads like black ants scurrying for food. I felt big. Bigger than a city that made me feel so small. A laugh escaped from me. It was amazing. I tore my eyes from the window and looked at Patrick and then at Sam, and then back at the shrinking city below where we were just known as nobodies, misfits. But up here we were everything, the stomping giants of the sky. I looked out the front window at the dark clouds, seeing only a vastness in front of us. Patrick and Sam were watching it too with wide eyes. And there we go! I hope you enjoyed my little scene, sorry if it isn’t that great, I just had fifteen minutes to spare so I quickly wrote that but I still hope you enjoyed it. Don’t forget to check out my two posts from yesterday: 2018 Biannual Bibliothon Day 4: Holiday/Winter Fantasy Bucket List + Day 4: Reading Update! Also, stay tuned to for my reading update coming tonight. I can already tell you it will be a bit better than my one from yesterday! 2018 Biannual Bibliothon Day 4: Reading Update! Day 4…not the best reading day. Today was just one of those days where after school, I needed to do nothing and just relax. However, I did read a bit tonight and managed to read 30 pages of All the Light We Cannot See by Anthony Doerr. It is a dense book however, so I am wondering if I will be able to finish it before Friday. I am going to keep reading it, but if I feel like it isn’t going to work I think I might pick up Stargirl by Jerry Spinelli because 1) it is really short and 2) I did know what it is about, but now I have no idea. Honestly, I wouldn’t be surprised if I switched over. Apart from those 30 pages, I also listened to 1 hour and 20 mins of the audiobook version for Saint Anything by Sarah Dessen. Yes, another switch, I know, I know! I just really wanted to listen to another audiobook and this was the only Sarah Dessen one I could find on my library website. The audiobook is 12 hours, but if I go on a few walks this week and listen to it whenever I’m doing mindless tasks I know I will be able to get it done for Friday. I would be using this book for the challenge of reading a book with mental illness (the best friend’s sister suffers from an addiction) but I do really want to re read Just Listen still, but I might do that after the readathon unless I somehow find the time to breeze through it. Luckily, I am not too worried about changing my TBR a bit just as long as I read 6 books and complete 6 challenges!